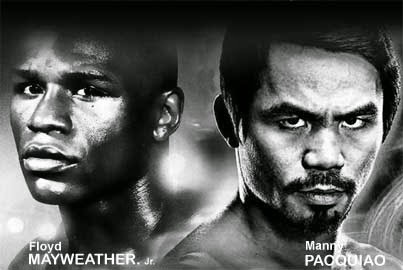 SuperSport International has rights to air the ‘Fight of the Century’ bout taking place this weekend between Floyd Mayweather and Manny Pacquiao in Sub-Saharan Africa. From this Saturday, 2nd of May, DStv will air the super-fight on SS6 and SS6 HD to enable all DStv Premium viewers to watch the action in High Definition. The build-up to the live event will begin at 8pm and headed by former boxer, Brian Mitchell, with a professional record of 45-1-3 and a panel that includes Phillip Ndou, who fought Mayweather in 2003, and legendary referee Stan Christodoulou. Viewers will also be treated to breaking news, extensive behind-the-scenes coverage, documentaries, one-on-ones with Mayweather and Pacquiao, plus past fight highlights involving the pair. The rights also include live streaming, which is available to Premium subscribers on the SuperSport app. The build-up will culminate in The Fight of the Century which will air from the early hours of Sunday on May 3rd.